Remote River Expeditions - Why travel with us? Why Travel With Remote River Expeditions? 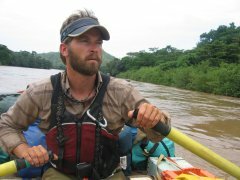 Remote River Expeditions are the pioneers of floating river safaris in East Africa and Madagascar. 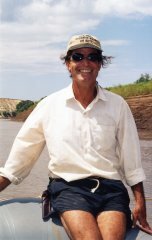 Founded by Conrad Hirsh, Remote River Expeditions, is a small, personalized organization; now owned and operated by Gary Lemmer, an American guide/naturalist who began leading expeditions in Africa on the Zambezi River in 1982. 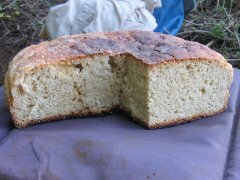 River trips are our first love and can make for wonderfully civilized camping too. We're also happy walking or riding through wild mountain ranges, with their spectacular vistas, unique flora and fauna, and traditional villages. Our trips attract a sophisticated and sympathetic clientele and have no fixed age limits. No previous experience is required and anyone with a moderate degree of fitness and a positive attitude is welcome to join. Each expedition is unique with its own special challenges and serendipitous, human connections. What you can expect in every instance, however - and why many of our clients return, year after year - is an outstanding wilderness experience ... including great food, magnificent wildlife, and friendships forged that last a lifetime. 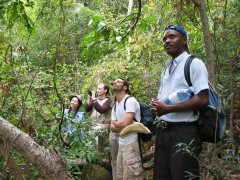 Our elite group of international guides and local staff realize the importance of respecting the areas we visit and are excited to share our love and knowledge with fellow travelers.